The San Diego economy will outperform recoveries at the national and state level due to improvements in the local housing industry and robust spending in military construction, former Bank of America economist Lynn Reaser said Thursday. Reaser, now the chief economist at the Fermanian Business & Economic Institute at Point Loma Nazarene University, spoke as part of the institute’s inaugural forecast event. San Diego’s housing market has bottomed and will see a modest price increase by the end of the year, Reaser said. Construction is also expected to pick up slightly, with housing permits expected to rise above 4,000 -- still below 2008 levels. “The inventory of foreclosed homes will act as a lid on price growth, but it won’t prevent the recovery in San Diego,” Reaser told the event’s almost 400 attendees. Military construction spending is expected to total $1.4 billion in 2010, a 40 percent increase from the year before. Rear Adm. William French, commander of Navy Region Southwest, added in a panel discussion afterward that San Diego defense contractors are expected to sign around $3.1 billion in contracts this year. Other local economic drivers Reaser listed included so-called “green” industries -- the potential risk being if oil prices come down again -- as well as foreign trade, tourism, health care, biotechnology and higher education. Small businesses, which comprise 90 percent of companies in San Diego, will be key to an economic recovery, provided they can secure financing and credit, Reaser said. 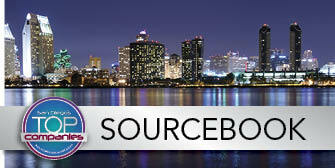 She added that San Diego would likely add around 20,000 jobs this year, in comparison to the 43,000 jobs lost in 2009. Certain sectors will constrain economic growth, however. Commercial real estate will see another troubled year as vacancies rise and the total value of commercial construction falls about 15 percent this year, Reaser said. Still, “we’re not looking at the tsunami that we saw in the housing market,” she said, noting that building owners these days are generally better capitalized. The technology, entertainment, trade and housing industry are all expected to play a role in California’s recovery. Government budget gaps, commercial real estate and the fight over water will dampen growth, Reaser said. The state is expected to gain 185,000 jobs this year, in comparison to the 600,000 lost last year. The nation will see modest economic growth of around 3.5 percent, reaching an all-time high by the end of this year, Reaser said. In terms of potential risks, she listed terrorism -- cyber or otherwise -- and commercial real estate issues as having a 15 percent to 20 percent probability of shocking the system. A surge in oil prices, an asset bubble and subsequent slowdown in China, and a major country’s default have a 10 percent to 15 percent probability of being disruptive. The nation will see job growth this year, but likely won’t recover all the jobs lost during the recession until 2013, Reaser said. May 4, 2015 -- George Chamberlin and Dr. Lynn Reaser, chief economist for Point Loma Nazarene University's Fermanian Business & Economic Institute, discuss the university's report on affordable housing. Dec. 5, 2014 -- George Chamberlin speaks with Dr. Lynn Reaser, chief economist for Point Loma Nazarene University's Fermanian Business & Economic Institute, about how the economy fared in 2014 and what we can all expect to happen in 2015. Nov. 20 1014 -- George Chamberlin speaks with Dr. Lynn Reaser, chief economist for Point Loma Nazarene University at the Fermanian Business & Economic Institute, and Leslie Kilpatrick, 2014 president of the Greater San Diego Association of Realtors, about recovery in the local real estate market. Dec. 6, 2013 -- George Chamberlin speaks with Dr. Lynn Reaser, chief economist for Point Loma Nazarene University's Fermanian Business & Economic Institute, about the details of the institute's 2014 economic outlook report. Sept. 26, 2013 -- George Chamberlin and Dr. Lynn Reaser, chief economist for Point Loma Nazarene University at the Fermanian Business & Economic Institute, talk about the San Diego Military Advisory Council's recent report on the military's economic impact on the San Diego region.